Welcome to 5 Star Grand Canyon Helicopter Tours we offer truly unforgettable once-in-a-lifetime experiences and adventures to many of America’s most amazing wonders including The Grand Canyon – Las Vegas – Valley of Fire. All of our Tours start with a luxury Mercedes-Benz Motorcoach Las Vegas Area Hotel and Resort Pickup and Drop-off! 5 STAR Grand Canyon Helicopter Tours is the best way to experience the #1 natural wonder of the world the Grand Canyon. Your Grand Canyon helicopter ride includes a descent into the depths of the Grand Canyon past geological rock formations that span millions of years. 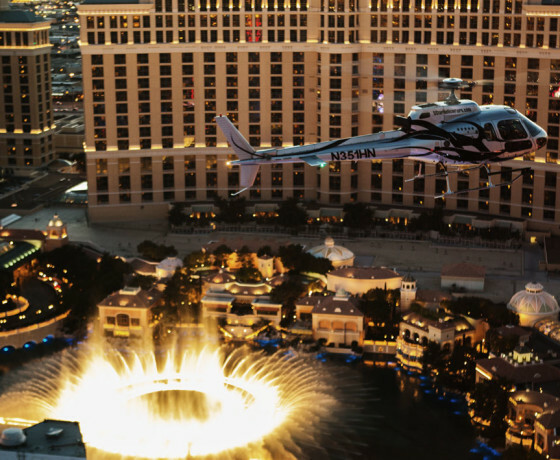 Soar over the World-Famous Las Vegas Strip in your Luxury air-conditioned 5 Star Las Vegas helicopter, specifically designed with forward-facing seats and 180 degree of unrestricted panoramic viewing... this is the longest Las Vegas Night "Strip" Flight. 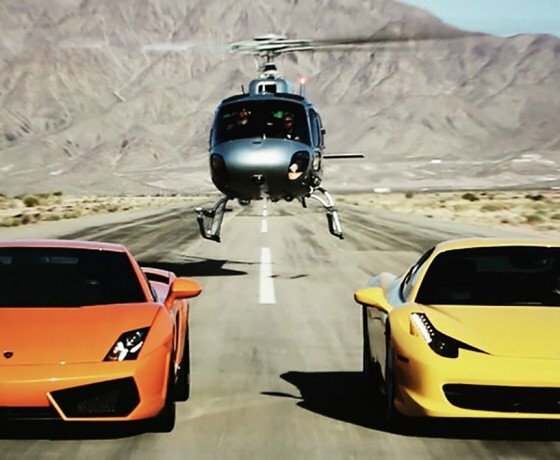 5 STAR Adventure Helicopter Tours gives you the option of combining a luxury helicopter tour with several adventures including; Ziplining Bootleg Canyon, Racing Exotic Cars, ATV Offroading, River rafting and Machine Gun Shooting. Our luxury Mercedes Benz ground transportation will transfer you from your hotel to our VIP Lounge, where your Minister and Wedding Coordinator awaits. 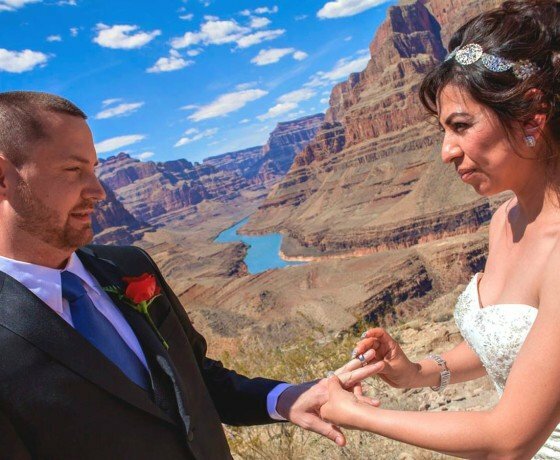 Get married anywhere over the Las Vegas Strip, Grand Canyon or Valley Of Fire! Q: What Helicopters do you fly? 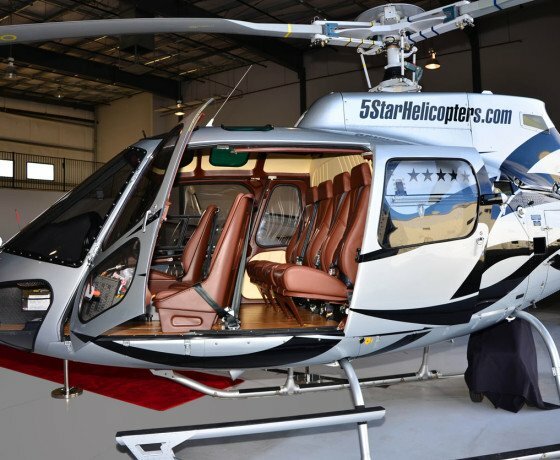 5 STAR Grand Canyon Helicopter Tours exclusively uses the Eurocopter AS350B2 helicopter, which guarantees you all forward-facing seating for the best views of the Grand Canyon. 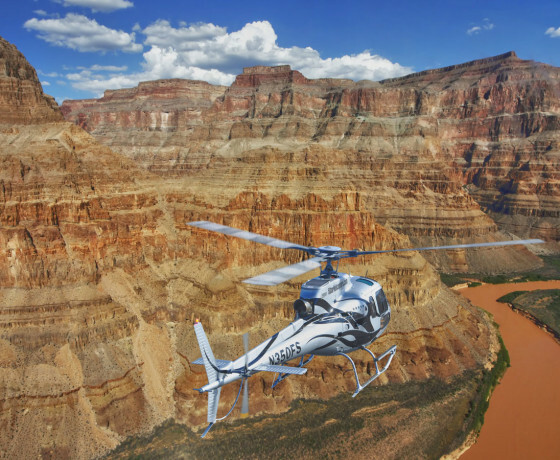 Our First Class/VIP configured Grand Canyon tour helicopter features European leather seating, cream leather trim and wooden floor finish for the ultimate first class helicopter ride. Our state-of-the-art video recording system features cameras mounted inside of the aircraft, and your finished tour video will be available in your choice of Google Drive download, USB Flash Drive, or Blu-ray Disc.